Type sample – This is a sample of a lot that is not yet finished or blended yet. 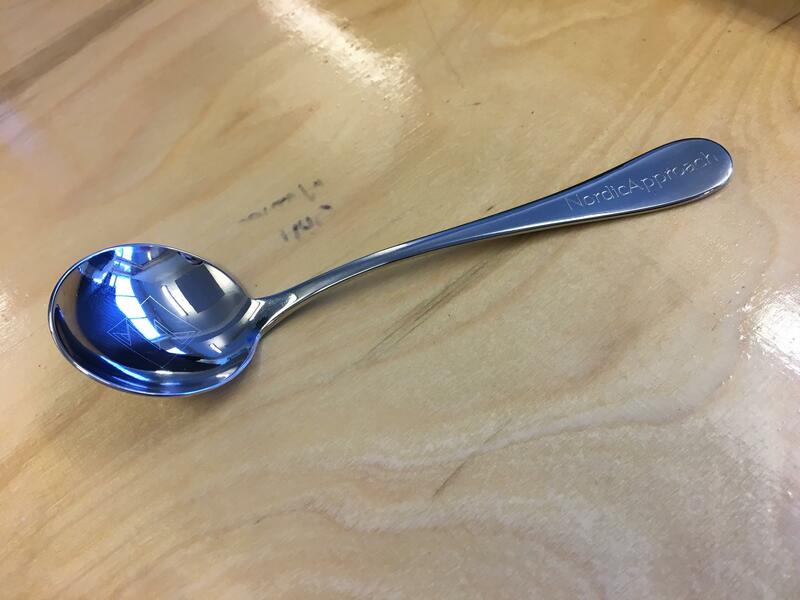 It can give us an indication of what a coffee can be like. And usually it is our Coffee Buyers who are cupping Type Samples, either in the HQ or in the coffee producing countries as they travel around. Remember, this is not a sample that is representative for a production lot. It can be before milling, and even before processing! Offer sample (OFS) – These are samples that exporters or farmers send, for us to buy. These samples can be anything from type samples, samples from parchment that still require milling, sorting and grading, to coffees that are export ready. Same thing here, usually our Coffee Buyers cup Offer Samples, HQ or on their trips around the vast coffee producing areas. Alone, at the farms, with Exporters we work with, or even other companies. Specialty coffee is like a big family, and we tend to help each other out more than you’d think 😉 And even sometimes, whenever we have Offer Samples, even the Sales Team join. This is for them to get a better understanding of what kind of coffees they can offer our clients over the next 6 months/ year. Pre-shipment sample (PSS) – These are samples we get before the coffee gets shipped but after all preparation is complete, hulling, sorting and grading. We use PSS for the last approval stage. That means, before the exporter can actually ship the coffee, we test it in the lab, by doing both physical and sensorial tests. PSS is the most fun, is my personal opinion. At this stage, the coffee is just about to get shipped, and everyone in the HQ has heard about this or that container. Now the coffees are really starting to take shape in our minds. PSS, Sales, The Lab, Coffee Buyers joins their forces to make tasty tasting notes, sales pitches and even marketing material for the coffees. Arrival sample (ARS) – These are samples we receive after the coffee as arrived at our warehouse. And usually everyone in the HQ joins in on this one – Sales, Marketing, Logistics, The Lab, Coffee Buyers. I think this is because when a coffee arrives our warehouse, it is truly ours. And everyone wants to know what we have been spending 3-4 months working on and contracting. Whether it’s a new exciting project, or long term relationship coffees. 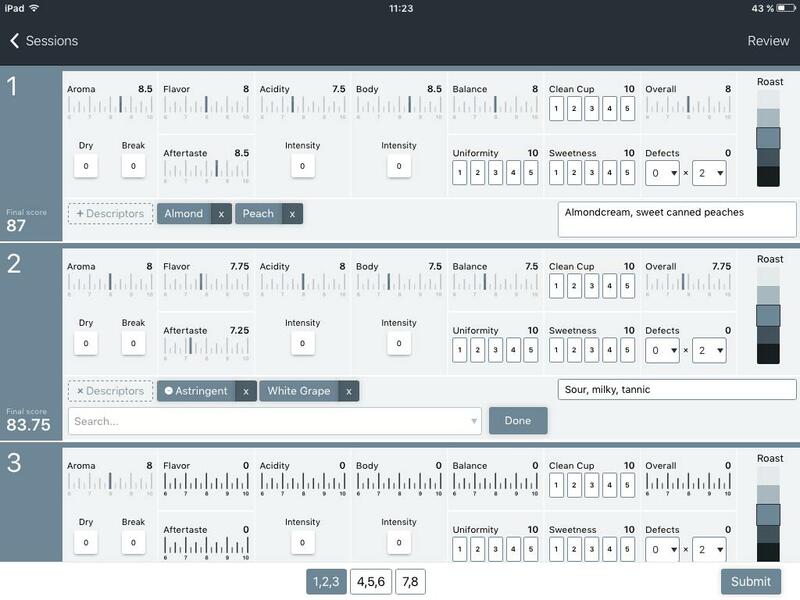 Here, you can see we are using Cropster’s own base sheets. Every category is scored by using a scale from 6-10: 6 is not preferred 7 is ok 8 is good 9 is exceptional 10 Oh my ! Is this even possible?!?! For us, it is important to score all the categories of a coffee. Now, for the practical part! The reason why we slurp, is to spread the coffee as much as possible through the entirety of the mouth. especially the tongue and the upper palate. 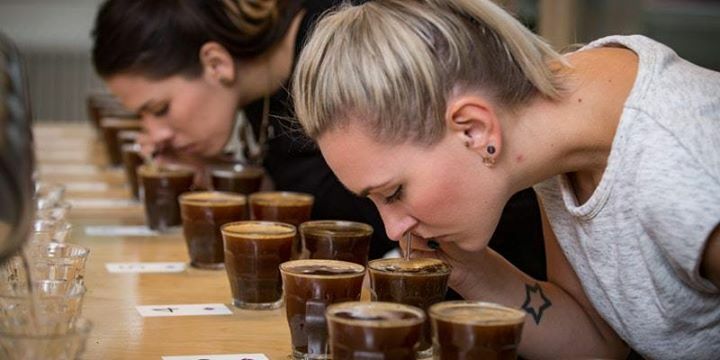 → the cupping happens in silence, no talking or swapping of opinions This is to ensure that everyone is scoring by their own taste and reflection. → you may discuss with the others after the cupping is finished. Use a spoon, slurp the coffee and let it spread in your mouth. Spit out the coffee after you have evaluated the coffee. Write down comments or score. It is smart to let the coffee cool down a bit, it´s silly to burn your tongue on the first cup. And a lot of the different flavours, attributes or even defects get´s clearer as the coffee cools down. It is advisable to taste several coffees before you start to analyse. Taste the coffees in different order, because taste of the different coffees will differ depending on the order you taste them in. → If the coffee is acidic, is it a balanced acidity? Or is it overwhelming? The is no right or wrong answer, each and everyone of us will perceive the coffees differently based on experience and preference. Always try to be objective, try to see how the different aspects of the coffee affects the different coffees. Be open for new tasting experiences and TRUST YOURSELF! Aroma: After the sample has been ground, we assessed the dry fragrance of the sample. By lifting, shaking the cup lightly and sniffing the dry coffee. When we have assessed all the samples, we pour water on it. The crust is left unbroken for 4 minutes, before we break it by stirring the spoon from top, to bottom 3 times. Flavor: This is a combination of taste (sweet, sour, bitter, salty and pungent) It is in this category, a great coffee stands out elegant, complex and flavorful. And also where the micro region, or even terroir can shine through. But, if the coffee has an off taste, f.ex poor processing, can cover up or even hide the coffee’s great potential. Acidity: The acidity is really important in coffee. Same with wine, it is what give the coffee a backbone, structures it. Balances out the sweetest. And here, it is important to remember, quantity is not the same as quality. Like, is you have alot of acidity, doesn’t necessarily mean that is is good! Is the acidity refined or tangy or does it have a pleasant snap? Body: Representing the tactile feeling of a coffee. How does it feel in your mouth? Is it viscous? Is it dense? How is the texture ? Say f.ex you have a medium bodied coffee, but it is gritty, or dusty. Does not mean that it has a good body! Aftertaste: Aftertaste is the lingering feeling or flavour after the coffee has been swallowed. Aftertaste can make it or break it for a coffee. If the aftertaste is super sweet and lingering, it is good. If it disappears immediately, it is not good. Overall: This is probably the hardest and easiest category to score. Because this category is the cupper’s personal last call. Do you like this coffee, or do you love it? 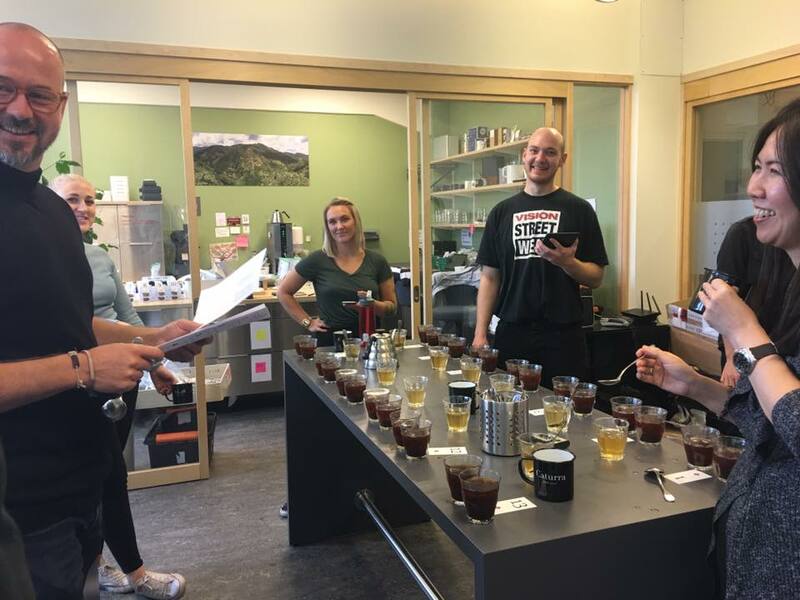 Happy cupping from the Nordic Approach team!